A trip to London wouldn’t be complete without a visit to a castle! Hever Castle is located about an hour south of London in the charming countryside town of Kent. 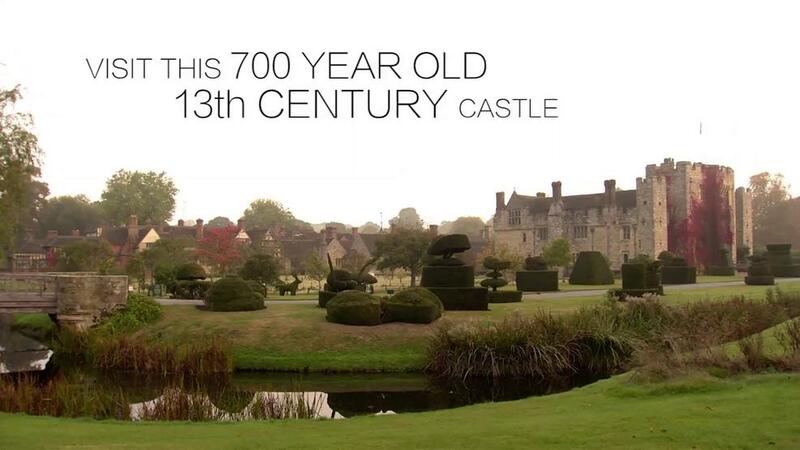 Originally built in 1270, Hever Castle has hosted countless royal family members in its nearly 800 year existence. Most notably, it was the childhood home to Anne Boleyn, Henry VIII’s second wife and the mother to Queen Elizabeth I. The castle was later purchased by American business developer and hotel heir, William Waldorf Astor, who restored the castle to its greatest heights. Hever Castle is filled wall to wall with countless tapestries, antique furniture, and portraits of royal family members. Detailed, hand-crafted carvings shape every wall and ceiling, that invite visitors back in time. Be sure to check out the moat that surrounds the castle, and the 125 acres of beautiful gardens. Take a picture with one of the topiary animals on the castle lawn, or get lost in the maze during your royal afternoon! Tickets can be purchased in advance or upon entry to the castle. Castle and gardens or gardens only tickets are available, at 15.90 and 13.90 each respectively. Open daily from 10:30AM to 6:00PM.